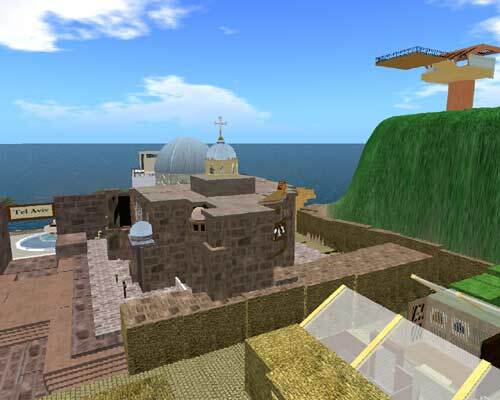 "You can now visit the Holy Land without leaving home. 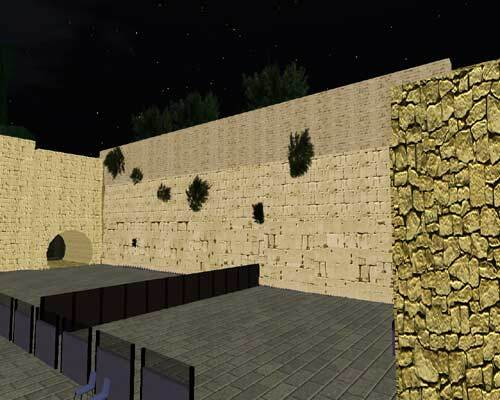 Rachel Fletcher logs on to an online virtual worldVisitors to the online virtual 3D world that is Second Life (SL) have long been able to attend a computerised synagogue, yeshivah, pray at the Western Wall, and wander round a Holocaust museum. 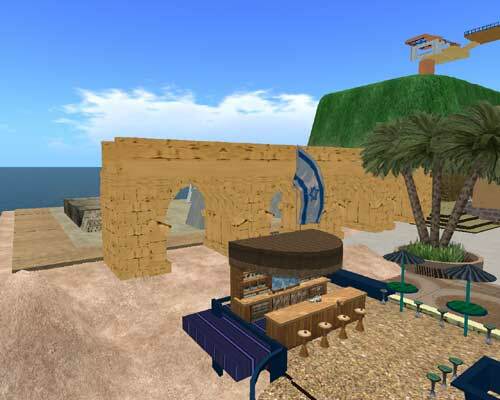 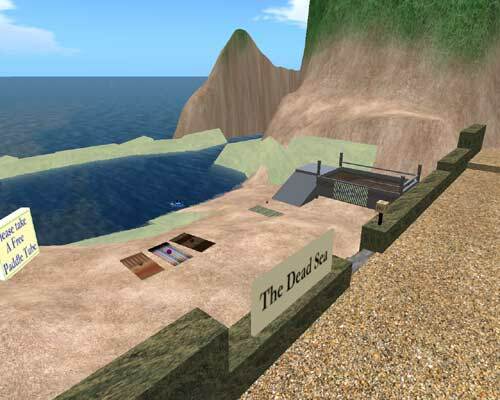 But with the launch of Second Life Israel this month, the possibilities to live a virtual Jewish life have increased enormously. 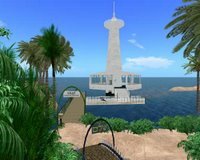 underwater observatory in Eilat, or visit Yad Vashem’s Children’s Memorial. " 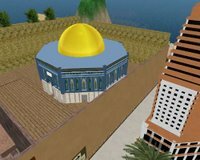 It is a little cramped, but indeed Israel has immersed on one sim. 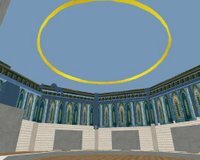 As far as construction goes in Second Life, I wouldn't call it a classy build. It has some great textures, but more often than not, the textures do not really fit. 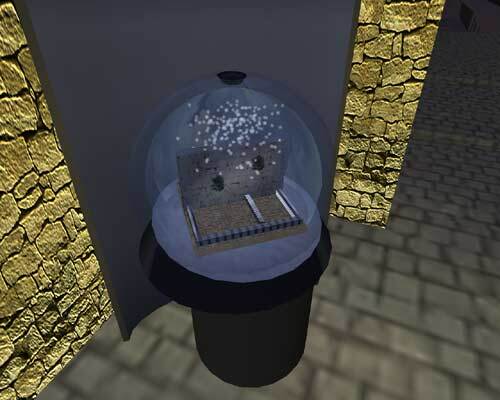 Throughout the sim there are new features under construction, but lack of space causes the builders to revert to textured decorums, which is a shame I think. 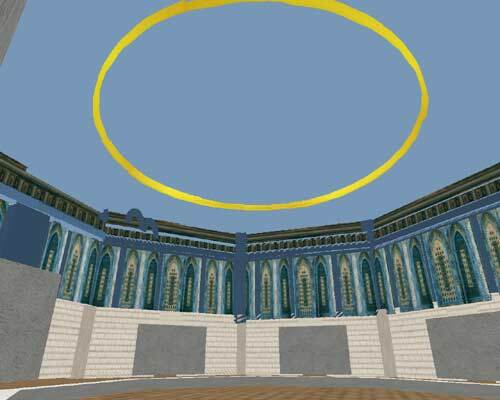 I really hope this community will grow and expand its borders in Second Life and hope to see more of the ancient city of Jerusalem and other sites from the Holy Land appear.